A player is required to sign up and provide some personal details like your real name, username, password, date of birth, address, phone number and your email address. A player must be above 18 years to complete the registration process. The next step is to make the required minimum deposit to qualify for a welcome bonus package. They have several games and promotions to keep you occupied. 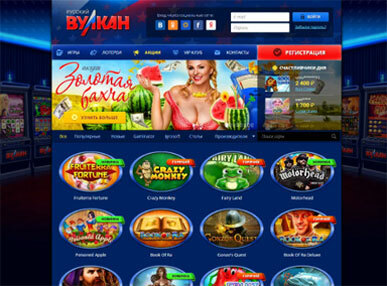 New and existing have so much to look out for on this online casino. 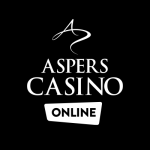 New players will receive a 100 percent bonus of up to £200 after registration. You must deposit a minimum of £20 to be eligible for a welcome package. Existing players will enjoy other bonuses like receiving a £5 reward whenever a goal is scored etc. A new player must complete the wagering requirement within 30 days. Your deposited fund will be locked to the casino until wagering requirements are met. This simply means that you can’t make withdrawals until after complying with the wagering requirement. A new player will also get a £10 first bet insurance. 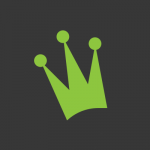 Any winnings made after staking a bet will be credited to your account within 24 hours. Note that any attempt to withdraw from your account without fulfilling the wagering condition will be void and your account may be suspended. You also have 15 days to accept or use any bonus credited to your account. If the bonus is not used within the stipulated time, it will be forfeited. Players Genting Casino can get rewarded with a lot of bonuses playing jackpot. The payout is very huge. However, there are some terms and conditions that you must fulfill. Genting Casino has reliable, safe and secure payment methods listed on their website. You can either withdraw or deposit with any of them. Your real name must comply with the name used to register on the site. That’s the reason players are advised to use their real name during registration to avoid forfeiting their winnings. Your identity must be verified by the online casino before any withdrawal is made. It takes between 3 to 4 business days to withdraw for UK players while for those in other countries will take about 5 to 7 business days. Players can use either Visa Card or Master Card to make deposits and withdrawals. Players are not charged for carrying out any of these transactions. Making a deposit via the aforementioned methods are instant. The account will be credited immediately. Genting Casino also has a Cash Desk all over the UK were players can make deposits or withdrawals. Visit their website to see the Cash Desk close to you. However, to make use of this payment method, you must provide a driver’s license or a photographic ID. The maximum amount a player can deposit via this method is £50 (this also applies to withdrawals). Deposit and withdrawals made through this method are instant. Genting Casino has over 300 games to play. Players can contact their customer support center for any inquiries. They are available round the clock, during the weekends and holidays.